I guess you could consider this week’s edition of Severin Says to be the first ‘Illinois budget edition’ of our weekly newsletter this year. The reason for that is because Governor Pritzker took to the podium in the Illinois House this past Wednesday to offer his future plans for spending your tax dollars. House Republican analysis is projecting a revenue stream of more than $38 billion in revenues to be collected during the coming fiscal year. The Governor has proposed spending $38.5 billion and also introduced ideas to tax every plastic bag you get at the grocery store, a new tax on e-cigarettes, and is counting on revenue from legalized recreational marijuana to close up his own projected $3 billion budget deficit. My feeling is as it has been for some time now: Illinois needs more taxpayers, not more taxes. That means saying no to another signature piece of the Governor’s budget presentation; a graduated income tax proposal. Before we get to more reaction on the Governor’s first budget address, let’s take a look back at some great events I’ve been a part of during the last week. 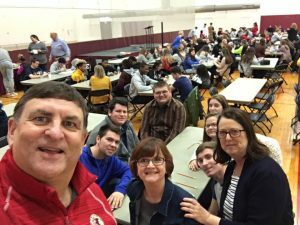 SIU School of Accounting 21st annual high school competition. 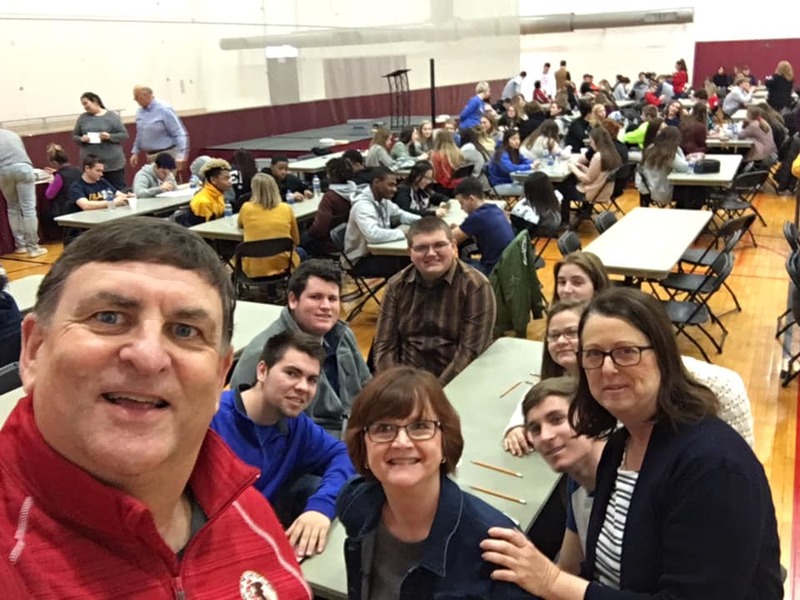 Over 300 high school students from 23 schools throughout Southern Illinois descended on SIU Carbondale for the 21st Annual SIU School of Accounting High School competition. Great kids and a lot of smart people in the room! During my travels on President’s Day, I was very honored to present Mr. Amos Herman Mitchell of Benton with a Congratulatory and Happy Birthday Certificate from the Illinois House. What a great day with family and friends celebrating with Amos on his 100th birthday. 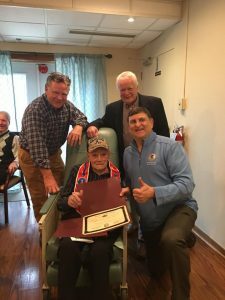 Thank you Amos from a grateful nation for your service and commitment to the United States. You can listen in to my interview from Friday morning with Tom Miller by following the link provided above. We discuss the Governor’s budget proposal in further detail.